This article is about the 1967/68 season. For the 2010 series, see Doctor Who (series 5). 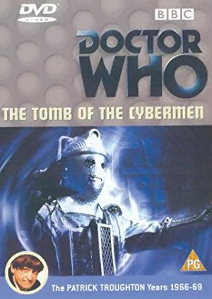 The fifth season of British science fiction television series Doctor Who began on 2 September 1967 with the first story of season 5 The Tomb of the Cybermen and ended on 1 June 1968 with The Wheel in Space. Only 22 out of 40 episodes are held in the BBC archives; 18 remain missing. As result only 2 serials exist entirely. Patrick Troughton, Frazer Hines and Deborah Watling appear as The Second Doctor, Jamie McCrimmon and Victoria Waterfield respectively. Deborah Watling departs in the penultimate story Fury from the Deep. Wendy Padbury makes her debut as Zoe Heriot in the season finale, The Wheel in Space. Jack Watling makes his first and last appearances in the series as Professor Edward Travers in the serials The Abominable Snowmen and The Web of Fear. Watling would go on to reprise his role of Travers thirty years on in the spin-off TV film Downtime. Michael Kilgarriff makes his first appearance as the Cyber-Controller in Tomb of the Cybermen. Kilgarriff would reprise the role eighteen years later in Attack of the Cybermen (1985). The Web of Fear introduced Nicholas Courtney as Colonel Lethbridge-Stewart. He appeared next in the next season's The Invasion, and became a regular supporting character in season 7 – season 13. He made subsequent appearances in season 20 and season 26. Victor Pemberton was script editor for The Tomb of the Cybermen, with Peter Bryant as producer. After this Bryant resumed his role as script editor with Innes Lloyd as producer until The Web of Fear where Bryant took over as producer. Derrick Sherwin replaced Bryant as script editor, The Enemy of the World was the last serial seen under Head of Drama and creator Sydney Newman, who left the BBC after his contract had expired in 1967. Two serials, The Tomb of the Cybermen and The Enemy of the World, are complete in the BBC's archives; these are also the only complete serials from the first two seasons of Patrick Troughton's tenure as the Doctor. The two missing episodes from The Ice Warriors have been recreated in animated form for the DVD release of that story, in a similar fashion to Season 6's The Invasion, while The Web of Fear was released on DVD in 2014 with a Telesnap reconstruction of its single missing episode. Of the remainder, Fury from the Deep is the most recent serial that is completely missing, with no episodes in the archives, while the other two have three existing episodes between them. The Enemy of the World saw Patrick Troughton playing both the Doctor and the villainous Salamander; this was the first time that the lead actor had played both his regular part and the part of the villain since Season 3's The Massacre of St Bartholomew's Eve. On taking Victoria on her first trip away, the TARDIS crew arrives on Telos where they find an expedition excavating the tomb of the Cybermen. Inside the tomb, they find small metal creatures, traps and dozens of frozen Cybermen who are soon to awake. The TARDIS crew arrive on a cold and windy hillside within the Himalayas. After exploring, the Doctor—wearing an extremely furry coat—is mistaken for what they think could be a Yeti. It turns out that the Yeti already roaming the mountains are robots created in hope for The Great Intelligence to reach material form. In the distant future, the crew at Brittanicus Base struggle to control an ioniser, which they are using to slow the progress of glaciers rolling over Britain. A creature found in the Ice is taken back to the base, kidnapping Victoria once thawed and taking her to awaken his race from the glacier, which identify as Ice Warriors from the planet Mars. Arriving in Australia in 2018, The Doctor finds out he has an evil doppelgänger named Salamander, a Scientist and Politician, who plans to rule the world with volcanoes. Despite those who follow his ultimate reign, the Doctor impersonates him to gain full access to his research station and reveal him for who he really is. Avoiding a web-like substance from space, the Tardis lands in the London Underground. But when they find that the Yeti are suddenly running the system, chaos occurs for everyone, even the military. The Doctor, with the help of the military, tries to stop them invading the London Underground. The TARDIS lands in the North Sea off the eastern coast of England. The Second Doctor, Jamie, and Victoria investigate a nearby beach where there's something nasty in the pipes. A refinery base takes them prisoner and it's soon to reveal that a parasite had been sucked up from seaweed and is taking mind control of those who come in contact. The Doctor and Jamie find themselves on a deserted spaceship carrying Cybermen heading for a nearby space station, The Wheel. Only available as part of the Revisitations 3 box set in Regions 2 and 4. The Web of Fear 5 × 25 min. Lost in Time was released in two formats in Region 1, with individual releases for volumes one and two (which cover First Doctor and Second Doctor episodes respectively), as well as an edition combining both volumes. In Regions 2 and 4, Lost in Time is available only as the combined single volume. (Also includes surviving clips from Fury from the Deep) 5 × 25 min. ^ "Doctor Who – 4 Classic DVDs in March Include 3 Special Editions and Leela's Introduction!". tvshowsondvd. 30 November 2011. Archived from the original on 2 December 2011. Retrieved 1 December 2011. ^ "Doctor Who: The Ice Warriors". EzyDVD.com.au. Archived from the original on 12 October 2013. Retrieved 11 October 2013. ^ "Doctor Who: The Ice Warriors (Story 39) (2013)". Amazon.com. Retrieved 11 October 2013. ^ "Doctor Who – The Enemy of the World [DVD]". Amazon.co.uk. Retrieved 11 October 2013. ^ "Buy Doctor Who: Enemy of the World, The on DVD-Video from". EzyDVD.com.au. 22 April 2013. Archived from the original on 26 February 2014. Retrieved 15 June 2014. ^ "Doctor Who DVD news: Canadian Retailer Exclusives out Tomorrow, Moonbase Update". TVShowsOnDVD.com. Archived from the original on 20 June 2014. Retrieved 15 June 2014. ^ "Doctor Who: The Enemy of the World: Patrick Troughton, Frazer Hines, Deborah Watling, Barry Letts, Innes Lloyd, David Whitaker: Movies & TV". Amazon.com. Retrieved 15 June 2014. ^ "Classic Doctor Who – Enemy of the World Special Edition [DVD]". Amazon.co.uk. Retrieved 14 April 2018. ^ "Doctor Who - The Enemy of the World Special Edition [DVD]". shop.abc.net.au. Retrieved 17 June 2018. ^ "Doctor Who – The Web of Fear [DVD]". Amazon.co.uk. Retrieved 11 October 2013. ^ "Buy Doctor Who: The Web of Fear on DVD-Video from". EzyDVD.com.au. 22 April 2013. Archived from the original on 13 December 2013. Retrieved 15 June 2014. ^ Lambert, David (23 January 2014). "Doctor Who – A New Box Art Shot and Other Updates for 'The Web of Fear'". TVShowsOnDVD. Archived from the original on 22 February 2014. Retrieved 8 February 2014. This page was last edited on 4 March 2019, at 23:51 (UTC).